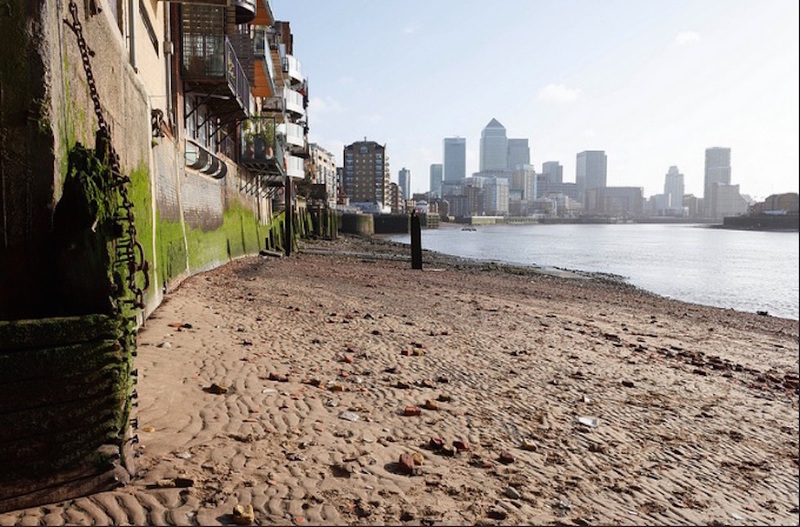 Kirsten Downer from Thames21 looks at the things you could find in the Thames. You can’t work at Thames21 without getting to know our great river, as well as its tributaries. You notice how the Thames ‘tinkles’, unlike other rivers, thanks to the amount of historical detritus it harbours. You get to know which banks can support a clean-up, and which are so silty that you’ll sink knee-deep; or precisely how long it takes for the wake-wave created by the passing Thames Clipper to reach you. But you still get surprises, and that’s one of the reasons that we love our work. 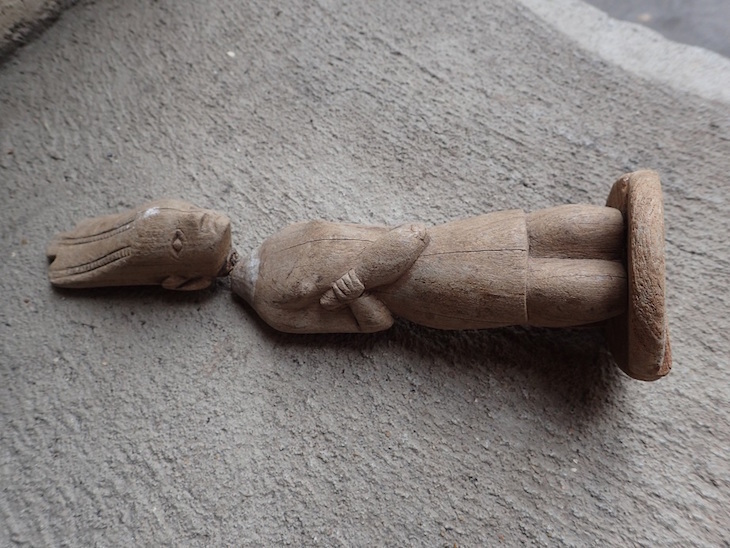 Sometimes we get to keep them; other times they get handed over to archaeologists, or the police. People have always thrown their waste in the Thames, and on our clean-ups you find rubbish that cuts across time. Common themes emerge: pleasure, pain, hope; vanity and violence. The oldest weapon we’ve found was at Chelsea in 2010. According to my colleague Ben, it was just sitting on top of the gravel foreshore when he noticed it. He says: ‘Someone told me it looked like a piece of an old gate and starting hitting it against the concrete wall to remove some rust’. 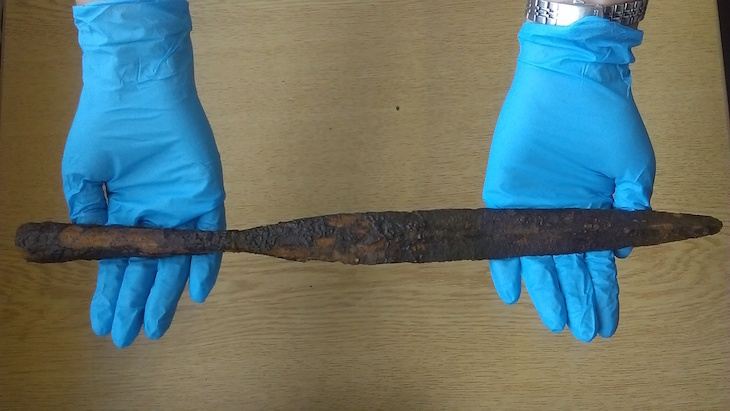 Thankfully Ben rescued the item and sent a photo to the Museum of London, who identified it as an Anglo-Saxon spearhead from the 9th century – identifiable from the pagan period by its split socket. 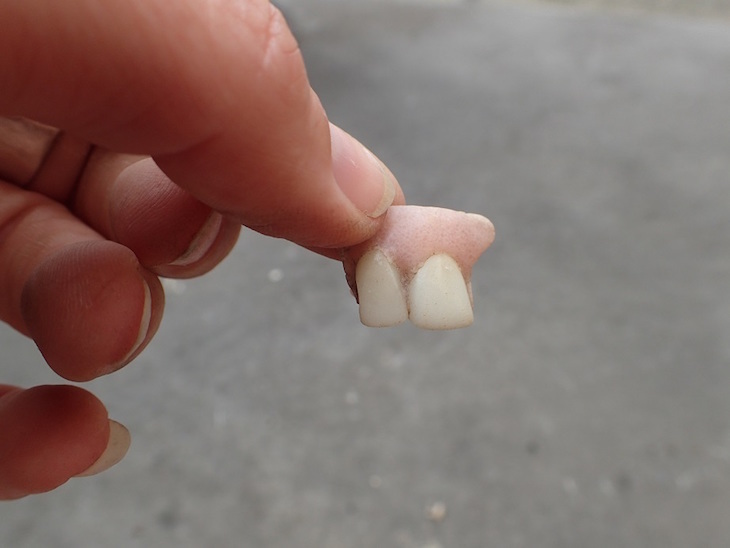 Teeth last a long time, and tell you much about their owners’ lives. 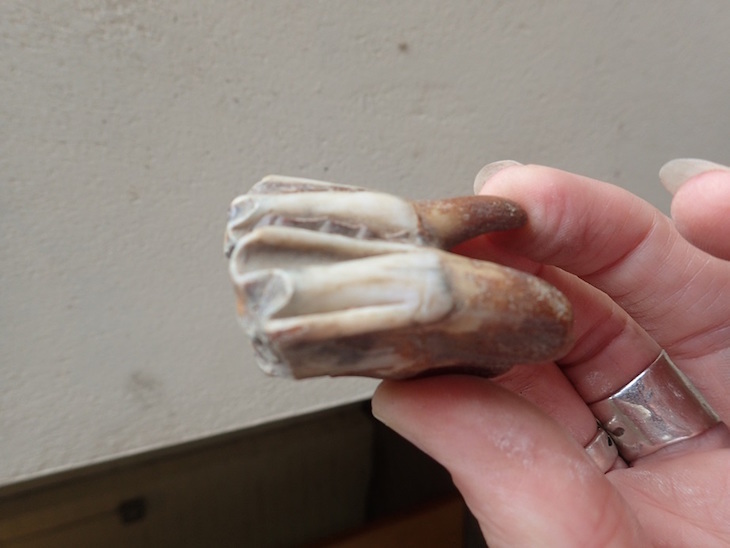 The deep root and ground-down ridges tell us this belonged to an animal which grinds its food. It’s most likely from a cow kept in one of London’s many slaughterhouses – I have no idea how old it is. 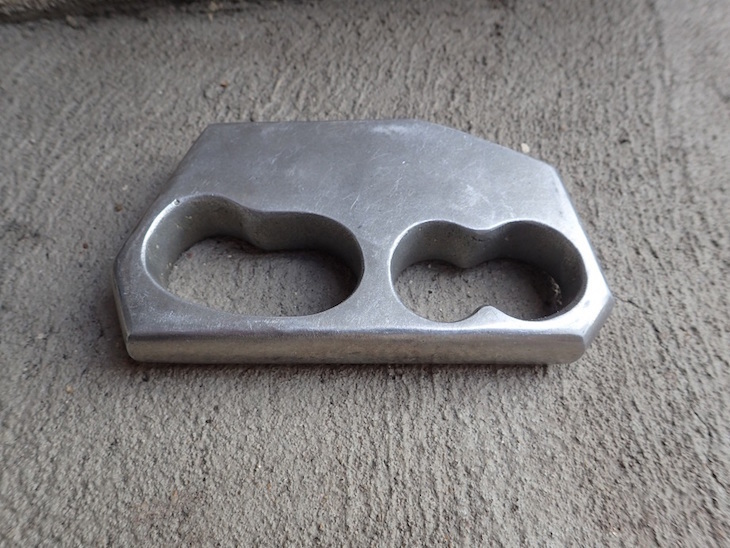 Below: when you pick something like this up, you’re up close and personal with a former Londoner. Many finds point to an unbroken spiritual connection with the river. Modern and ancient Londoners relate to the Thames as a place for their hopes and dreams, as well as to commemorate the dead. 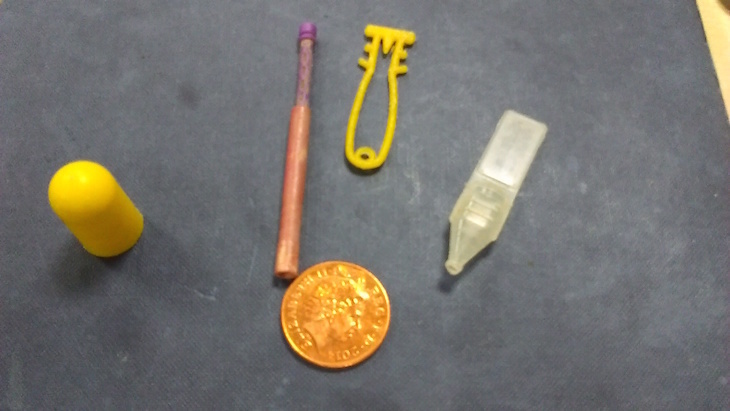 It leaves you with a quandary, however; should you take these items out of the river, or leave them there? 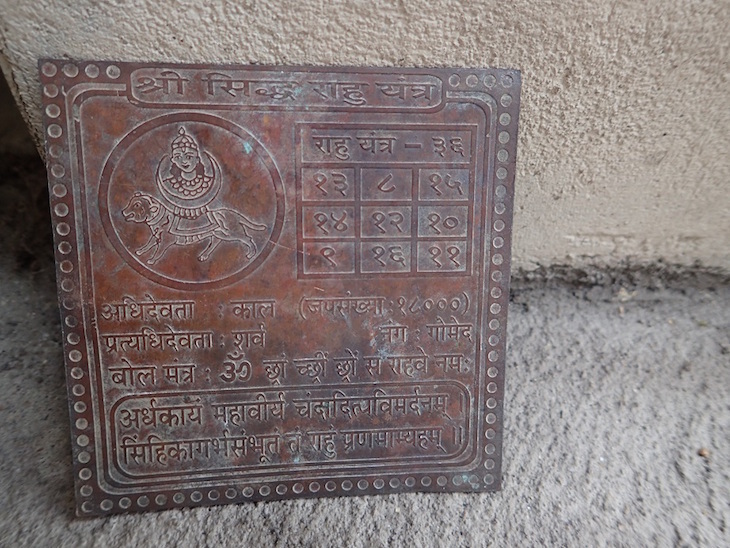 This copper sheet contains Sanskrit writing, and seems to be some kind of prayer slate, which would probably have been placed in the river along with funeral ashes. 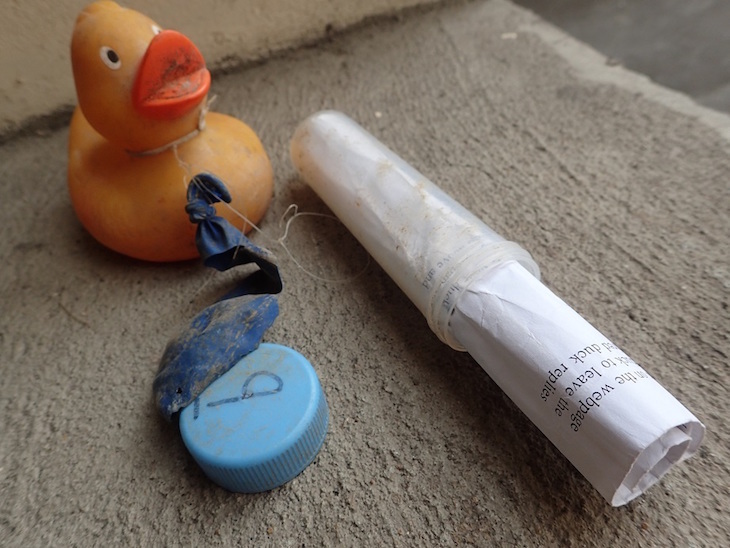 At a certain point on a Thames River Watch litter survey we found a stash of plastic tubes with a small hole, which intrigued us. We finally realised that they were from Whistling Pops, a popular lollypop launched in 1979, as the lolly which could whistle. 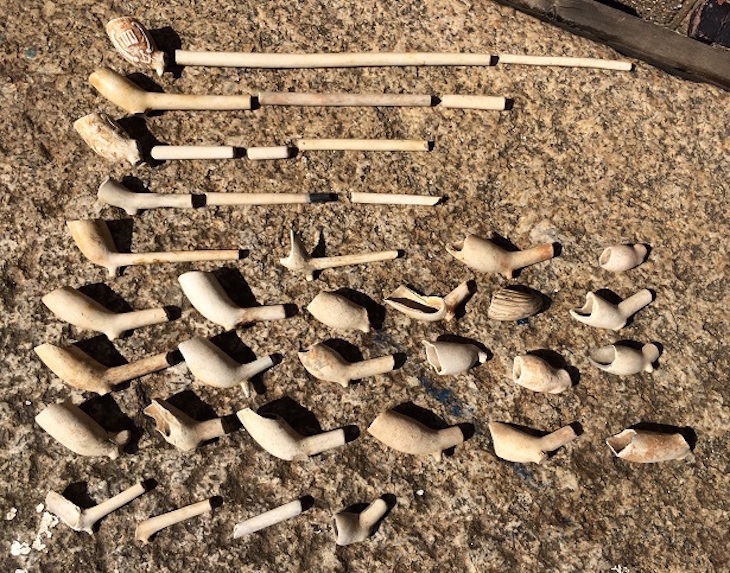 Clay pipes are common finds on the river, but some are older than you might think. Ones with small bowls are older, as tobacco was expensive. 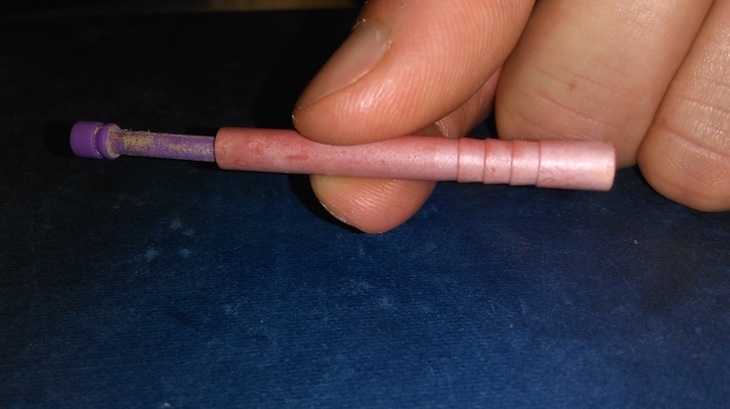 Complete clay pipe stems are a rarer find – pipes were rented out and got increasingly shorter with use. People snapped bits off as the stem got blocked with tar. Holding the stem between your fingers is a strange experience, knowing that someone else’s fingers held it, hundreds of years ago. 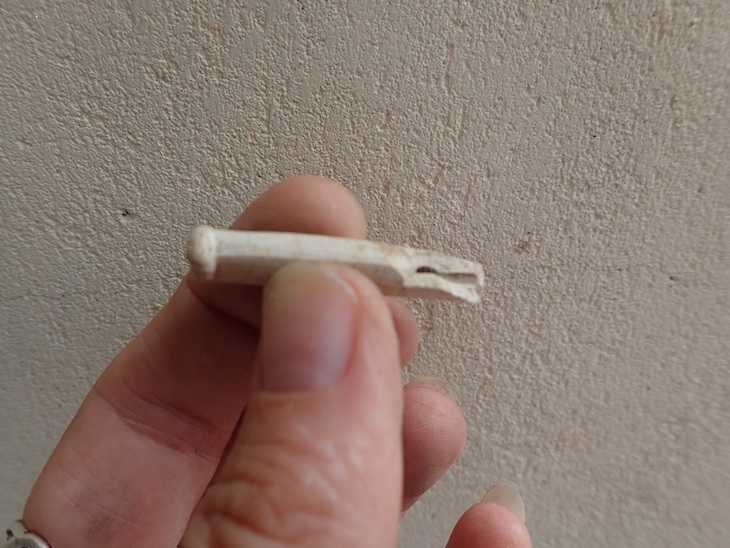 Important finds, such as worked pottery, jewellery, coins or other crafted items should always be reported to the Museum of London’s Finds Liaison Officer. Keep an eye on the Thames21 website for details of upcoming Thames21 events.